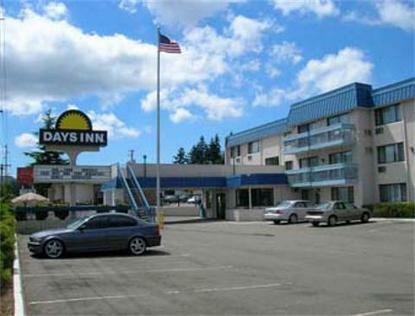 The Days Inn is comfortable, affordable and offers quality service. It is conveniently located off Interstate 5, at exit 252. Within minutes to Western Washington University, downtown, Bellis Fair Mall, the Alaskan ferry, Casinos and restaurants. The to the west lie the San Juan Islands, with Mt. Baker dominating the view to the east. The Seattle premium outlet shopping is a short 40 minute drive and the Canadian border is only a 20- minute drive. We offer an all you can eat deluxe continental breakfast, high speed wireless Internet, Free gym passes, Free parking, Free local phone calls with voice mail, and Free newspapers. You can relax in our seasonal outdoor pool with sun deck. Spacious rooms are nicely appointed. Newly renovated in January, 2008, with new beds, curtains, bedspreads, fresh paint throughout and plush carpets. The bathroom has new tile floors and counter tops. The in room conveniences include fridges and microwaves, a sitting table with lounge chairs, an office desk with lamp and comfortable chair. Each bed has 4 and 5 pillows for our turndown service. There are coffee makers with complimentary coffee, irons and ironing boards and hair-dryers. The bathrooms have upgraded complimentary amenities. The curved shower rods, in our shower/tub combination, provide more room. You will find a wide array of activities and attractions year round. Hiking, whale watching, boating, skiing, shopping and cultural activities abound. Whatever you plan, the Days Inn offers you a convenient base from which to explore. For business and leisure travel, you will love The Days Inn Bellingham. Adjoining rooms can be requested, but based on availability.